The only direct flight from Dublin to Seattle is available to book on Expedia TAAP. Seattle is world famous for its music and home-grown businesses such as Boeing, Microsoft and Starbucks. Your clients can stay with some top hotel brands such as Four Seasons, Hyatt, Sheraton, Marriott, Crowne Plaza, Westin, W-Hotels, etc. Expedia TAAP Agent discount and Package Rates are available on some hotels. 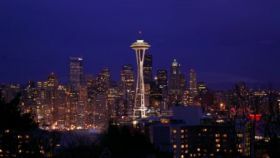 There are lots of things to do in Seattle on Expedia TAAP. You can recommend the Boeing Factory & Future of Flight Centre Tour, the classic tour of Pike Place Market and Seattle city tours which are all amazing to your clients.